Limited CD copies of the Draft Master Plan will be available at State DOFAW and DSP offices on May 30, 2014. The Draft Master Plan will also be available at the Kailua Public Library on May 30, 2014. 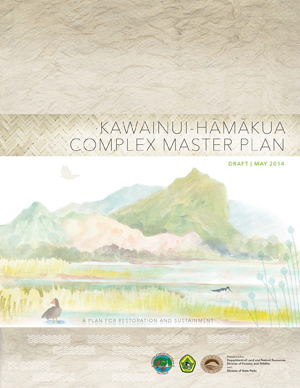 Please contact us atKawainui@hhf.com if you would like to receive a copy of the CD containing the Draft Master Plan.